Home National Teams Isaac Success Set To Lead Super Eagles’ Attack? 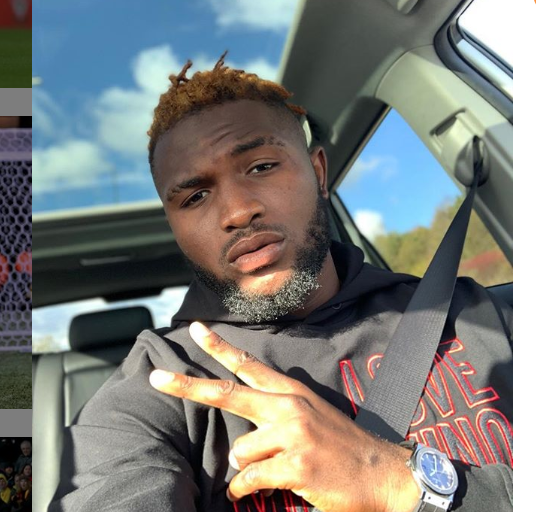 Isaac Success Set To Lead Super Eagles’ Attack? Strong indications have emerged from the Super Eagles’ camp in Asaba, Dleta State that Watford of England striker, Isaac Success will lead Nigeria’s attacker against South Afirca on Saturday. 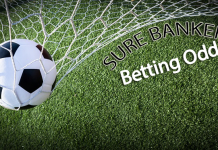 With Eagles’ arrow head and recent top scorer, Odion Jude Ighalo ruled out of the away fixture due to injury, te race is on for who will take his place, but Success is top bet in terms of statistics and form. Success’ all-round abilities, physicality and experience appear to give him an edge ahead of Victor Osimhen, Samuel Chukwueze, Kelechi Iheanacho and Henry Onyekuru for the top striker’s spot. 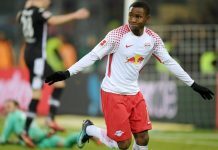 Fresh feelers from the Eagles’ camp indicate that Iheanacho, Osimhen, Chukwueze and Onyekuru will have to step up their efforts and good form in training if they will successfully edge Success from getting the nod as Nigeria’s top striker on Saturday. 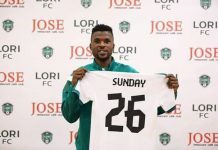 Furthermore, heading into the game at FNB Stadium, Johannesburg, Success has been rated in terms of statistics as the best Nigerian player in Europe’s top five leagues for the month of October 2018.
International Centre for Sports Studies, CIES Football Observatory rated Success as the best Nigerian player, but 243rd overall among 931 stars listed from the Premier League, Bundesliga, Serie A, La Liga and Ligue 1. Of three matches played by Watford in the Premier League in October, Success, who was rated 78.3 per cent, started two games, which were versus Wolverhampton Wanderers and Huddersfield Town, against who he scored in his side’s 3-0 win. Surprisingly, the second best rated Nigerian is Kenneth Omeruo at 328th overall and 75.8 rating, while third is Ola Aina (396th, 74.0), followed by Leicester City midfielder Wilfred Ndidi (411st, 73.8), who is ruled out of Saturday’s match due to accumulated yellow cards. 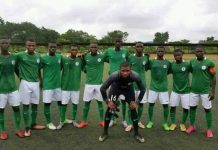 Udinese’s William Troost-Ekong (623rd – 69.3) and Arsenal’s Alex Iwobi (644th- 69.0) complete the top six Nigerian stars in the rankings, such that Nigerians will hope to see them shake off whatever lethargy it was that saw them sit out training yesterday in Asaba.